Request your FREE quote today and let us help create your best IT solution. please get in touch with our friendly, knowledgeable and professional team. to numerous firms of various sizes in the Orlando area. and high network availability services we provide to Orlando's small business networks. What is the Unbreakable Process? The key aspect of building a secure and reliable network is process. Since 2008, our process-driven IT solutions have helped hundreds of Orlando businesses grow. Through experience, we have learned that most technical problems stem from either a failure to follow a process or a lack of appropriate process. Using this knowledge, we devised a simple three-part process that factors your business' goals and budgets and combines them with the right solution at the right price. We know clients are smart and looking for unique technology capable of driving revenue, and we strongly believe our process-driven IT can help a business rise above the competition. The first step of the Unbreakable Process is for us to make a determination of a client's business goals and figure out how to best align them with our technologies and processes. Like much great work, developing optimal computer systems is a collaborative effort between us and the client. We work together with clients to find the intersection of business goals and technologies. We perform a thorough audit of a client's existing processes and technologies and compare them against best technology practices. Using our assessment, we then identify where you technology currently is and where it should be. After our initial assessment, we maximize the effectiveness of the client's existing resources, and later outline a plan for IT growth. During implementation, we realize the goals we discovered during the initial assessment. We retool a client's information technology with flexibility in mind. We support their business growth plans by developing IT solutions that are efficient and reliable for a client's today, while providing the scalability they will need tomorrow. After the implementation stage, we maintain, support, and protect a client's most important resources and assets. A client's IT systems and processes are critical to the success of their business. The final phase of our process ensures that solutions and procedures put in place today continue to relevant to a client's business goals, even in the future. We apply ongoing, proactive measures to ensure a client's data is safe and their network always operates at peak efficiency. Our around the clock monitoring and local support staff of highly trained engineers identify problems and solve them quickly before they become major issues, keeping a business IT infrastructure available when a client needs it most. If you want to find out what the three-stage Unbreakable process can do for your business, contact us today! We carry a steadfast commitment to both infrastructural and personal availability to our clients. Our mission as an IT firm is to have a friendly, knowledgeable engineering staff that is available 24/7 to our clients with no downtime, just like our technical infrastructure. Simply said: the personal aspect of our business is just as fundamental as the technical aspect. Whether it is 9AM on a Saturday or peak traffic time on a weekday, you should be always able to know the standing of your IT solution. Technology should be accessible and understandable, not esoteric. Depending on the needs of your firm, we have multiple packages spanning from simple professional services to comprehensive infrastructure solutions. The IT requirements for two businesses are never the same, and we factor in the unique variables of your business when devising a solution. To get started on the process of figuring out what Unbreakable IT's personalized, dedicated IT services can do for you and your business, fill out our "Get a Quote" form or call us today. 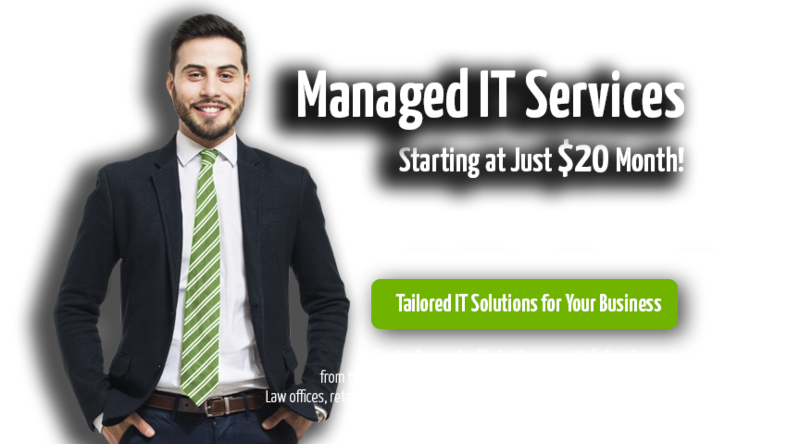 We provide managed it services and network support in the State of Florida, Orange County, and the greater Orlando area.